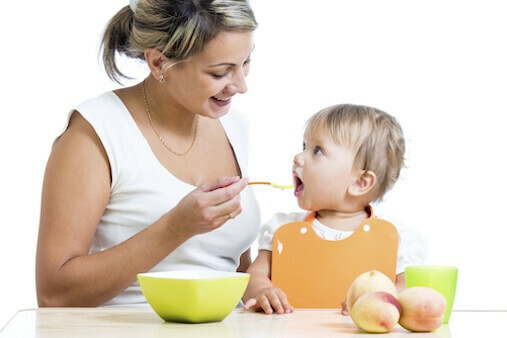 As parents begin to introduce foods to their babies, many of them are giving signals to their baby without even realizing it. Babies look at the human face for longer periods of time in comparison to other objects. The human face is the primary means for learning at this young age. When we sit down face to face to feed our babies we have extended eye contact and our hands are free from holding baby, so it is a common setting to begin signing with our babies. Because eating is a novel experience or one that baby looks forward to, it may be an appropriate time to introduce some signs for foods. Without even realizing it we tend to convey our own thoughts and feelings about the food we’re feeding our babies through facial expressions and other nonverbal cues. Just think about the face you make when something is bitter. How about when something is sweet? And something sour? Have you ever been witness to a baby tasting a lemon slice for the first time? That is something to see! Now, not every food we consume causes us to react with such distinct faces, but those extreme cases surely make an impression. Have you ever seen the proverbial rubbing of the belly to indicate that something is yummy? Parents might even smack their lips to express food is tasty. I happen to love that the sign for YUMMY is the rubbing of the belly. This is one of those iconic signs, the sign makes sense in relation to the word. Yummy Yucky by Leslie Patricelli is part of the Sign4Baby Signing Story Time series “All About Food” and I invite you to watch, laugh and giggle with your little one, all while learning a few new food signs! What food does your child find especially YUMMY? 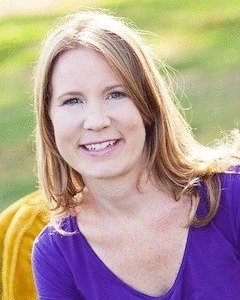 Joann Woolley is a Master Level Instructor in the Signing Time Academy. ASL is her first language (her mother is deaf) and her first sign was MILK. Both her fluency in ASL and understanding of ASL culture provide an insight to the language that opens the eyes of her students. This delightful video gave me so much to use with my friend’s new munchkin, to whom I’m lucky enough to be Auntie. She already knows so many signs, and I know almost none, so I’m trying to catch up with her! Thanks!